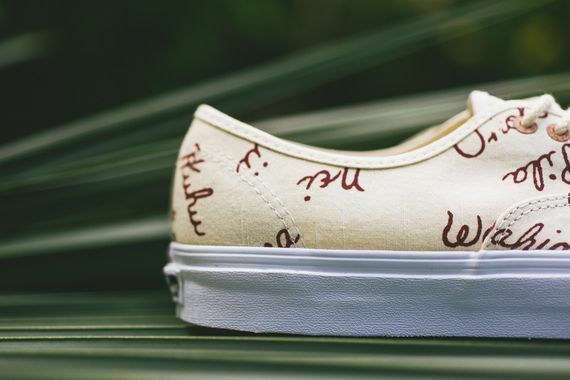 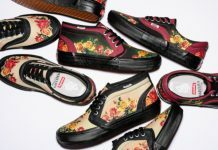 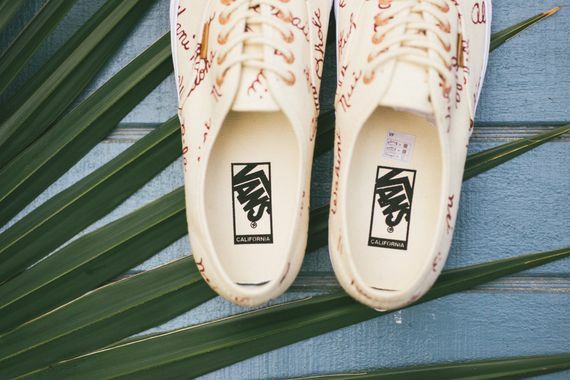 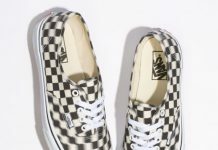 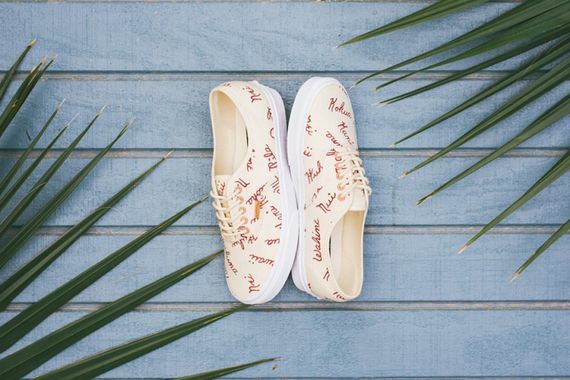 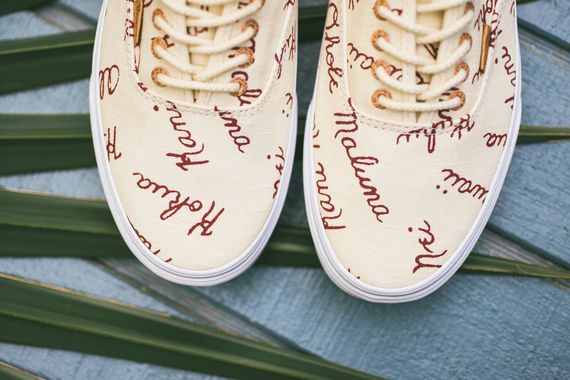 The latest from Vans California sees the timeless Authentic silhouette splashed with text that resembles the cutesy wallpaper your grandma or mother probably have in a bathroom or kitchen somewhere. 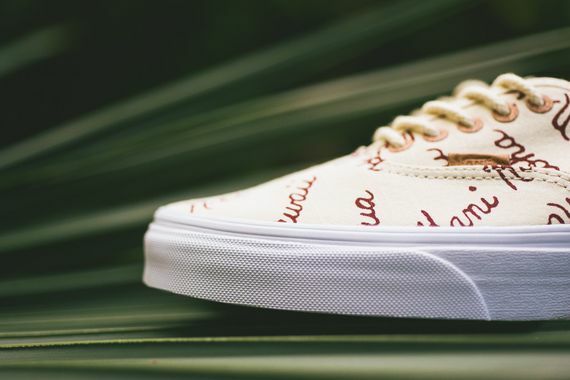 Light bone uppers contrast seductively with the white sole creating an eye catching look that is further enhanced by deep red “island” themed lettering. 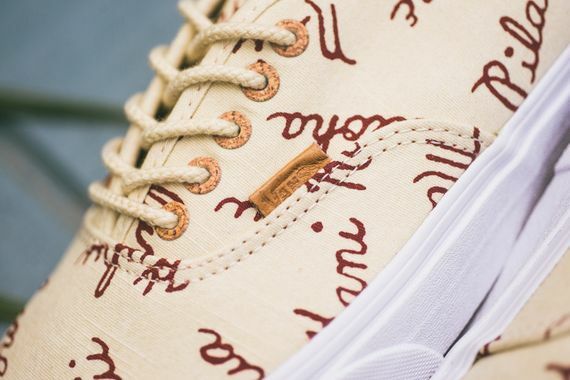 Small details like “cork” eyelets turn things up even further, if you’re trying to step up your Spring/Summer ’15 rotation step into a pair now.